View the 3mx2m pvc ITSA GOAL futsal fitting instructions below. 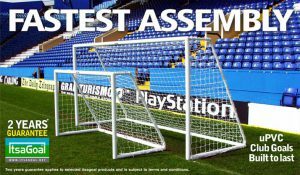 The goalpost assembly instructions show step by step goal assembly and offer tips on goalpost care and maintenance. ITSA GOAL POSTS 4×3 TARGET GOALPOSTS are available from soccertackle.com.The Target Goalpost assembly fitting instructions are available to view at the goalposts manufacturer’s website www.itsagoal.net. 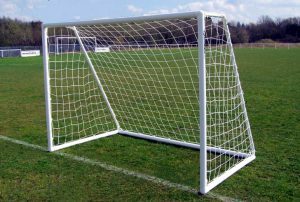 Visit the website for the full range including socketed goals, freestanding goalposts and plastic goalposts. 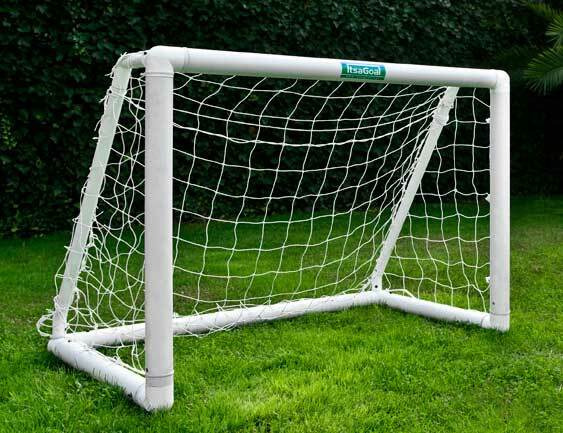 View the 4×3 pvc ITSA GOAL fitting instructions below. The goalpost assembly instructions show step by step goal assembly and offer tips on goalpost care and maintenance. ITSA GOAL POSTS 6×4 KIDS GOALPOSTS are available from soccertackle.com.The fitting instructions are available to view at the goalposts manufacturer’s website www.itsagoal.net. 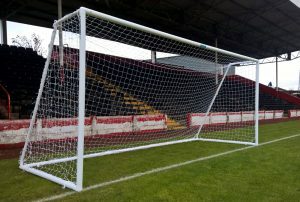 Visit the website for the full range including socketed goalposts, freestanding goals and plastic goals. 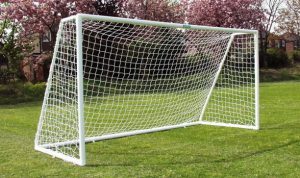 Take a look at the 6×4 pvc ITSA GOAL fitting instructions below. The goalpost assembly instructions show step by step goal assembly and offer tips on goalpost care and maintenance. 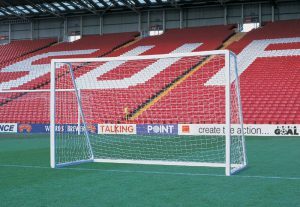 ITSA GOAL POSTS 9v9 GOALPOSTS are available in different versions to suit different locations and surfaces. 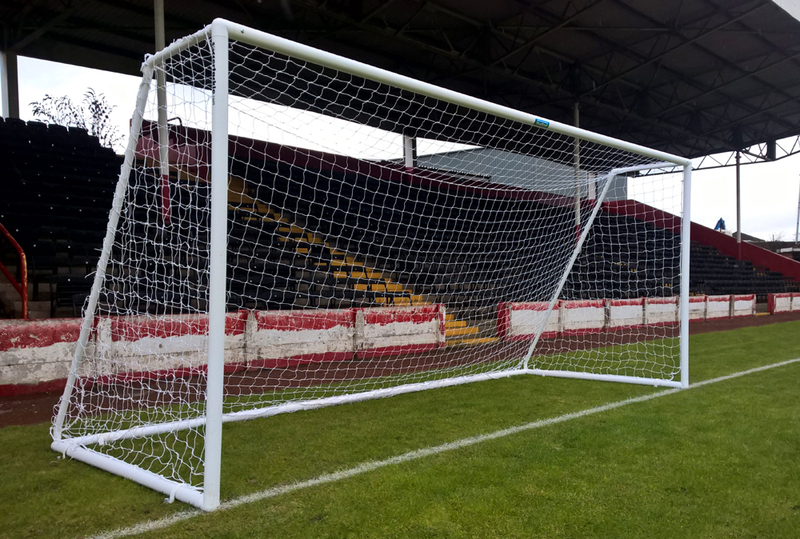 Visit the website for the full range including socketed goalposts, freestanding goals and plastic goals. We would always recommend an optional aluminium crossbar with a 16′ long crossbar so the crossbar does not dip. Take a look at the 16×7 pvc ITSA GOAL fitting instructions below. 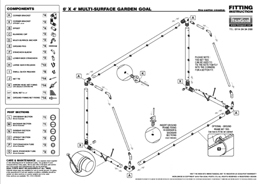 The goalpost assembly instructions show step by step goal assembly and offer tips on goalpost care and maintenance. 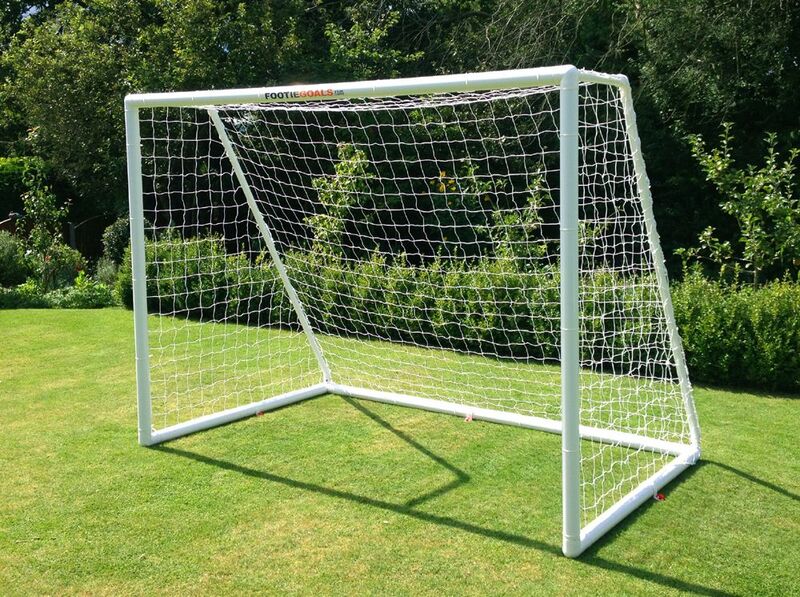 ITSA GOAL POSTS are available in a large range of sizes to suit different footballing age groups. Take a look at the 12×6 fitting instructions below. They goalpost instructions show step by step goal assembly and offer tips on goalpost care and maintenance. ITSA GOAL POST garden goals post are available in 6×4 garden goal, 8×4 garden goalpost, 8×6 plastic goal,12×6 7v7 and 16ft x 7ft plastic goal. Take a look at the fitting instructions below. They goalpost instructions show step by step goal assembly and offer tips on goalpost care and maintenance. We suggest avoiding flimsy metal goals- they are just not up to the job. 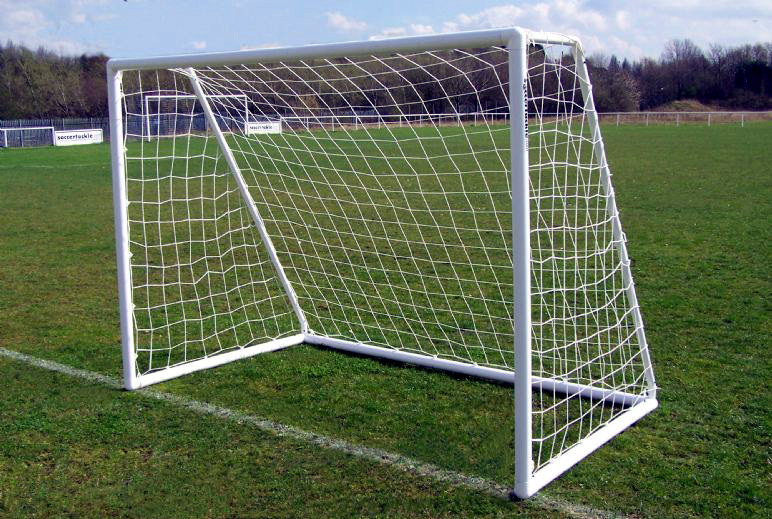 Avoid heavy freestanding steel goals, they are cheap but dangerous – not worth the risk with children! 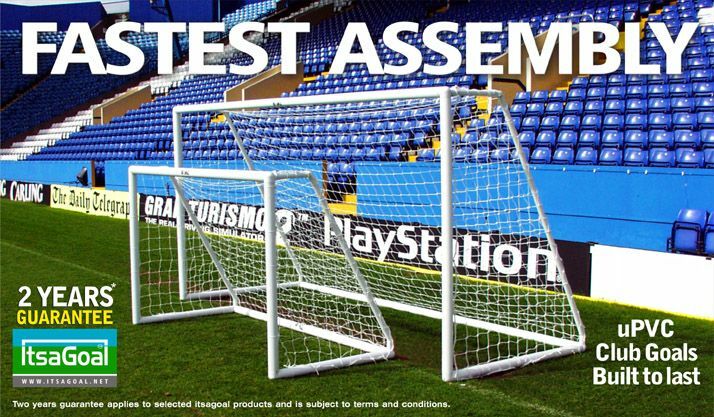 We also suggest making sure your goalposts have locking net supports – it’s really not ideal if every time you score a goal the net support comes out! Also, check product reviews, make sure the reviews are about the product not the fast delivery…its the product you need to know about. 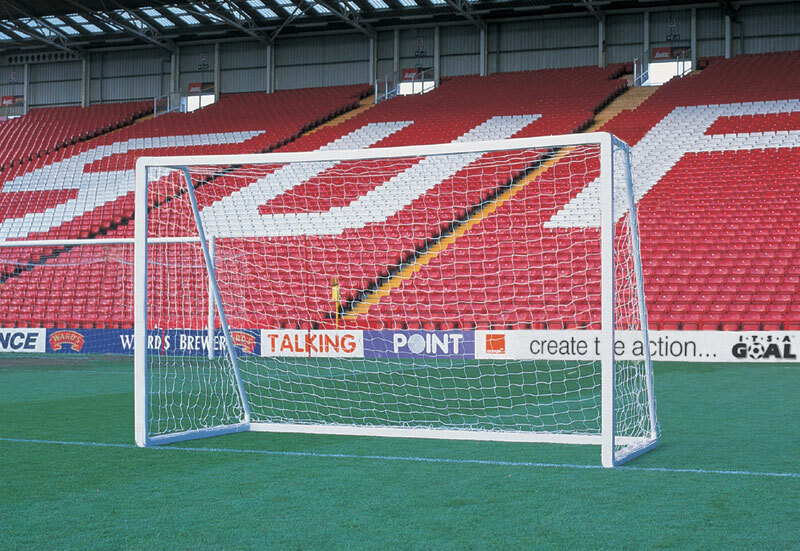 Avoid goals with bending net support stanchions – they bend and crease! 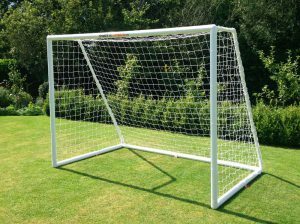 Kids want a goal that looks realistic so look at the goalpost design, make sure they have a roof to the net. 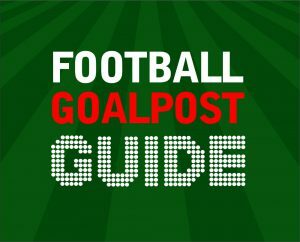 All footballers like to score a goal in the roof of the net – its just not right if the goal doesn’t have one!